Emails have many advantages and are vital for most businesses, but is our productivity suffering because we rely on emails too much? It’s estimated that office workers check their email on average 30 times an hour, which is a staggering amount and rather distracting. While email technology is vital for businesses, has it actually made us more efficient or effective, or do we rely on it too much? Electronic mail revolutionised the workplace in the 1990s.It allowed workers to communicate with someone easily over long distances and reduced reliance on physical mail. It’s quicker. Physical mail can take days to arrive and a same-day service can still take hours. Phone calls rely on the person at the other end of the line being available and meetings can take time to arrange and conduct. You can send an email within seconds. It saves money. You don’t need to worry about postage, paper in the fax machine or the cost of a national or international call. Reduces paper and filing. You don’t need to print out a physical document (although many workers still do) and you can file documents electronically, potentially saving paper, ink and the amount of office storage space you need. It can also give you a record of your conversation and the decisions made (assuming you don’t delete all your emails). It’s more convenient. You can fire off a quick email in between tasks and as many workers are sat at their desks for much of the day (read our post about the health implications of this), it can be a timely method of communication. Plus if you need something to be read urgently, you can mark it as such in most email software. It’s not time dependent. You can send or read an email at any time of the day. The recipient doesn’t have to be available when you send it, so you can email something when it’s foremost in your mind or when it’s most convenient for you, not necessarily within the confines of the normal working day (if that still exists). It’s great for targeted marketing. Chances are your business does some e-marketing. As customers can easily subscribe to business emails to be the first to find out about offers or the latest products, it helps us to target our efforts towards potential interested customers. It also means we can reach a large number of people without it costing the earth. They’re easy to use. Almost anyone can send an email, even those with few IT skills. A study by V1, a business automation software provider, found that 88% of IT and finance professionals chose email as their preferred method of receiving business information. Twitter and Facebook was the least favoured method, even across the different generations. This isn’t particularly surprising. While the use of social media has risen considerably, particularly with Generation Y, we generally compartmentalise how we use technology. If you have an urgent issue, you’ll likely pick up the phone and call, while you may send an email for things that can wait. Social media is generally used for more informal conversations and short interactions. Although we’re definitely not saying it can’t be used effectively for businesses, it’s just not popular for workplace conversations. This may be because email is taken more seriously, or because email is the norm within an office environment. The issue – is technology to blame or are we? So emails have the potential to save us time and money and are our preferred method of business communication. But given the ceaseless tide of emails most people receive, do they actually save us time in reality? Various studies suggest they don’t, so have emails become a victim of their own success or have we just become too dependent on them? What are the main issues with emails? They’re time consuming, mainly because of the sheer volume we receive. 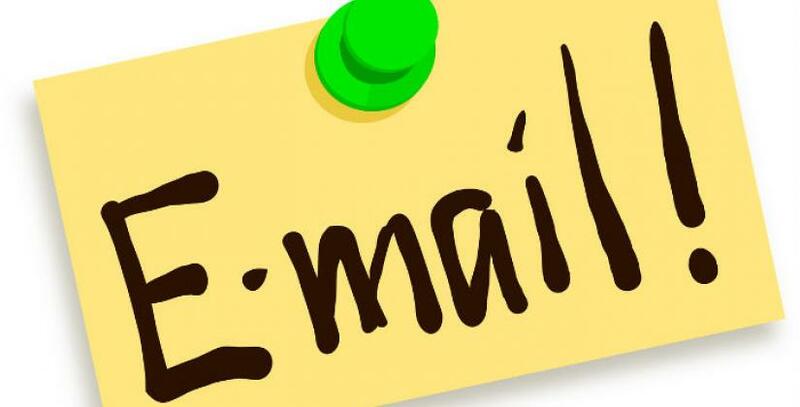 Research by Warwick Business School in 2012 worked out that we send and receive on 10,000 emails each year on average. While a Mimecast study in the same year found that we spend more than half of our day checking or dealing with emails. Given that both of these studies were a few years ago, these figures could be conservative in today’s workplace. There’s also the task of sorting through your emails and deleting them – particularly if you leave this for long periods. They’re distracting. How many times have you been in the middle of a task and clicked on an email notification that’s popped up, distracting you from your work? Once we’re distracted, it can take up to 23 minutes to return to our original task – we may decide we need to answer the email immediately or catch up with other mail in our inbox. Many are not useful. According to The Journal, 80% of our emails are ones we don’t need. They could be spam, read receipts, emails we’ve not unsubscribed from or simply office chatter. How many times have you been CCd into something that is not relevant for you? You’re not necessarily getting the full picture. Emails are great for on-to-one conversations, but less so if you need to discuss something with several people. You may end up only being copied in on part of the discussion, depending on when you’re copied in. They’re easy to misinterpret. With face to face conversations (and to a lesser extent phone calls) you receive non-verbal signals and your tone of voice can distinguish when you’re being serious or joking. Emotions are much harder to convey over email, which means they lack the personal touch of a conversation and are open to interpretation. The number of emails we receive and the amount of time it takes to sift through them are probably the biggest bugbears for office workers. This suggests it’s our overuse or misuse of email that is the main issue. Reduce the number of emails you send. It sounds simple, but there is such a thing as email boomerang. The more emails you send out, the more you’ll receive as people respond to you. Think about whether you really need to email the person sitting a few metres away from you or whether a simple conversation may be better. Keep your message brief – no-one wants to read an email essay. Some people suggest aiming for five sentences. This avoids the message coming across as rude by being too abrupt and prevents it becoming an essay that people give up reading half way through. Make use of the subject line. If you leave it blank, your message is more likely to be ignored. A good subject line will help the recipient(s) decide whether it’s important and needs to be read straight away or whether it can wait. Don’t respond to all emails. You don’t need to send someone an email just to confirm you’ve received theirs – particularly if you’re planning to write a fuller reply later on; just send the one email. Or if you receive several emails about the same topic, you may be able to write one reply to cover them all rather than replying to each one in turn. Write emails in a way that reduce unnecessary replies. If you need a response, say so and when you need it by. Make this obvious and clear within the body of the email or in the subject line. If you don’t need them to respond just to say they agree to your proposal, write something like, if I don’t hear from you by [date] I’ll assume you’re happy with [whatever you’re discussing]. You can use common acronyms to help, such as FYI (for your information) FYA (for your action) or NRN (no response needed). Don’t use your email inbox to store documents – use a shared drive or software like Dropbox or Google Docs for this. Chances are you won’t have the latest version of the document, which could cause all kinds of problems. Be careful how you use CC and BCC. Don’t copy people into emails just to ‘keep them in the loop’ or if you have to, just include them in one email that summarises everything – copying them into a whole conversation is overkill and may just annoy them. Be polite – particularly if it’s an email where there is conflict. Make sure your email couldn’t be misconstrued or interpreted in a way other than you intended. Turn off your notifications. Automatic email notifications just distract you from what you’re working on. Also, if you automatically read each email as it comes in but don’t deal with it straight away, you could end up forgetting about it entirely. You should aim to reply, forward, action or delete the email as soon as you read it. Similarly, turn off any read receipts and social media notifications. If you’re using the networks often enough, you’ll see the activity related to you –why clog up your email with extra ones you don’t need? Reduce greymail. You may have ticked (or not ticked) a box, which means you’ve allowed a company to email you. These might be relevant at the time, but if they’re no longer relevant, then stop them. It may take up some time to unsubscribe, but will increase the ratio of useful emails you receive in the long run. Unroll.me is an application that brings up all your subscription emails and allows you to combine all your subscriptions into one email. Alternatively, search ‘unsubscribe’ in your inbox, which should bring up all your subscriptions and you can then decide which ones to keep and which to remove. Create rules and filters. These can send junk emails directly to your spam folder or archive emails that are older than a certain date. Archiving is a good way to ensure you don’t end up with a huge inbox but means you can still search for the email at a later date if you need to refer back to it. Most email software will have some sort of filtering management. Gmail has introduced tabs to help filter your mail and Outlook has a simple flagging system that allows you to set reminders and puts flagged items in your task list. Just be sure to mark them as complete once you’re done. Keep an eye out for further tips next week for your email marketing. While our tips aim to make your emails more effective, don’t automatically email if an alternative method of communication may be better – it’s all a question of balance. Make a phone call. This offers more of a personal interaction, allowing you to connect with your customer or colleague the way an email can’t. If one party has questions, it’s probably quicker than a flurry of emails back and forth. Use your intranet (if you have one). We’ve recently begun using Yammer within Bizspace. The beauty of this is that everyone can see the whole conversation, and anyone can contribute. It also means if you’re looking for advice, you don’t have to seek out a particular colleague who may know the answer – you can post your question and see who comes back with an answer or suggestion for you. Get up and speak to them. Of course, you can’t do this if they’re across the other side of the country, but for colleagues in the same office as you or if you have customers in the same business centre, it’s worth getting up and making the effort. Write to them. While this isn’t really relevant for colleagues, with the decline in physical mail, receiving a letter or card can make your message stand out and offer more of a personal touch than an email. Video conferencing. There are various free and paid options that allow you to chat to an individual or a group of customers or colleagues no matter where you are all based. This combines the advantages of a phone call with face-to-face meetings, without involving any travel. Text. This is not ideal for a substantial message, but can be perfect for short messages. It’s one of the best ways to get a message to someone quickly, as most people have their phone to hand and have their text notifications on.